This ruler was designed to measure from the center. Make extremely accurate 4-triangles squares by first cutting the triangles larger than they need to be, then stitching the triangles to make a square. 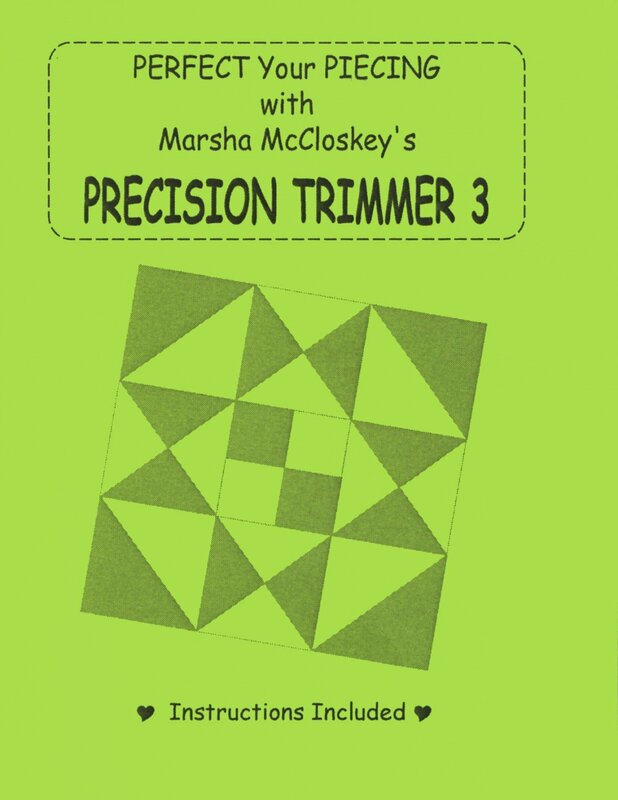 Center the Precision Trimmer 3 on the sewn unit and trim the edges to the perfect size.